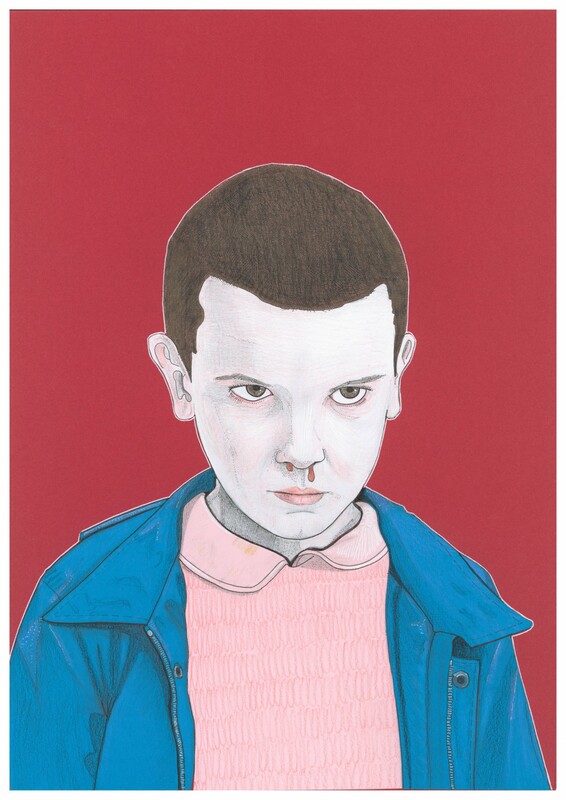 An A3 portrait of the Stranger Things’, Eleven, made with inks, pencils and coloured card and available as a limited edition giclee print. I often feel an urge to commemorate my enjoyment of TV programmes by illustrating something from the show and in this case it was all about a cool, simple portrait of Stranger Things’ otherwordly heroine, Eleven. The quarry scene where she saves Finn and kicks the bullies’ arses with some nose bleedingly good telekinesis, seemed the obvious choice and this is the result. 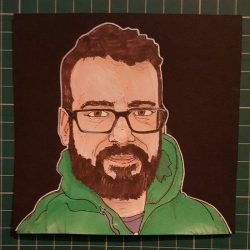 Since completing it and posting it on Twitter etc the illustration has been used by Manchester band, The G-O-D as the cover for their Grafters Ov Denton EP.